Alan's love of gardening and years of experience designing gardens really come to the fore as he demonstrates how to create a garden to be proud of. Covering both design and plants, the chapters include boundaries and climbers, patios and containers, borders and perennials and water and wildlife gardens. Each chapter includes practical advice on design and planning, step-by-step projects to re-vamp your garden, and a host of Alan's favourite plants to guide you in your selection. 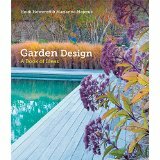 A comprehensive sourcebook of the best contemporary ideas for garden owners, architects and designers.